The Burgonet Helmet was, in many ways, the successor to the medieval sallet. 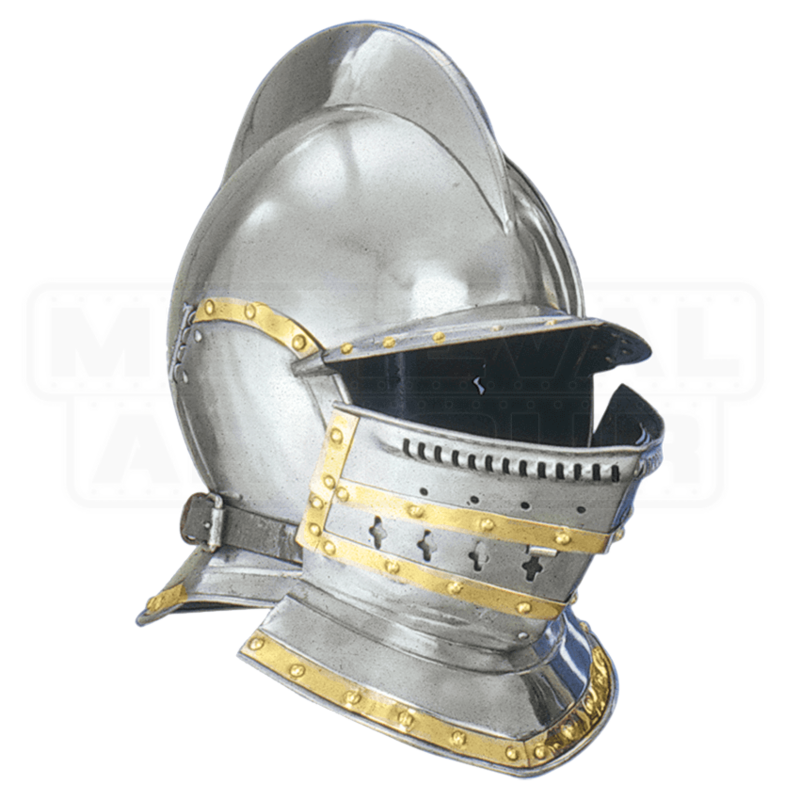 Used primarily in the late renaissance of the 16th century, this helmet offered similar protection to the sallet but was considered to be lighter and easier to wear. The typical burgonet was open-faced, and this replication is no different, although it includes a feature called a falling buffe, which helps to enhance the protection of this helmet by protecting the face. The helmet is crafted from quality steel and decorated with touches of polished brass metal along the sides and along the falling buffe visor. The helmet is round in shape, featuring an attached collar and neck protector, as well as a raised crest and a visor that both provide additional strength and protection, as well as a touch of decoration. The falling buffe secures around the base of the helmet via a leather buckle and strap and features cut-outs for easy ventilation and breathing. If you are looking for a helmet that is not only somewhat protective, but also allows you maintain a good level of movement and vision, then you are looking for a Burgonet Helmet. 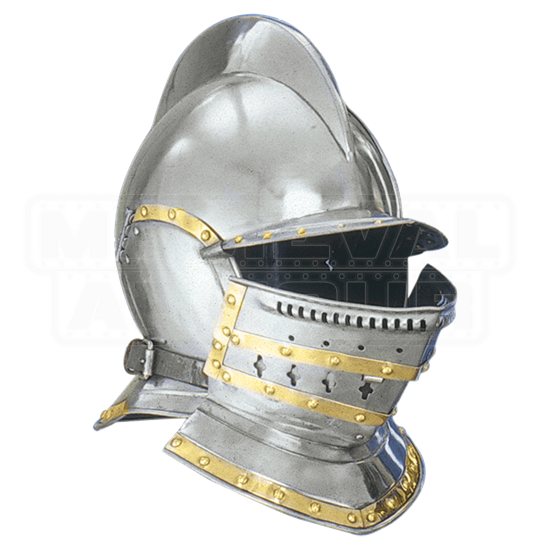 And not only is it great for keeping your head safe, but it will also make you look like an authentic renaissance era knight or warrior, too!